The blue line is the sum of the other three lines. 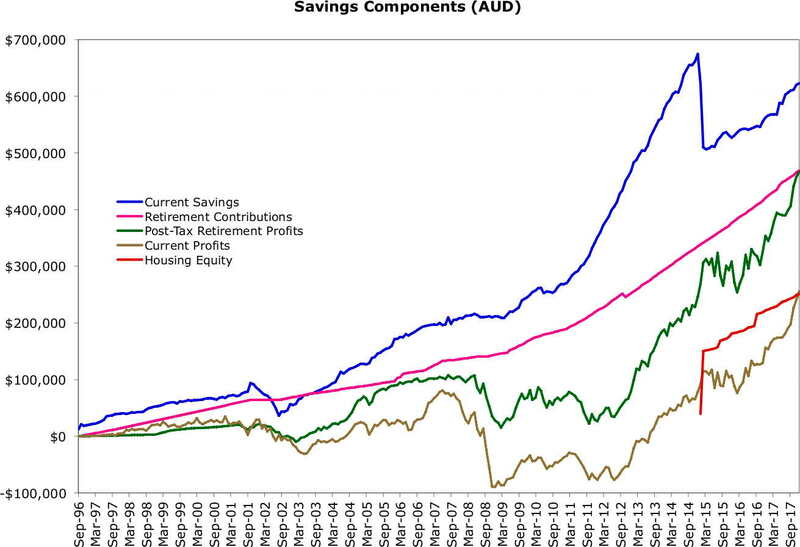 Medium term balance is liquid assets, the green line is retirement accounts. Both of these and housing equity increased. Markets performed well this year and we saved more. 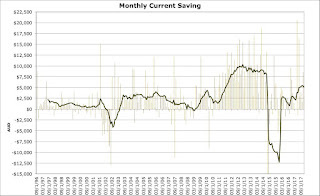 Though we are making savings outside of retirement accounts and housing equity - the blue line is rising - the slope is shallower than before we bought a house and had a baby but steeper than last year. So, a lot of this year's increase came from profits. In the long run we have done much better with retirement than with current accounts in terms of profits. 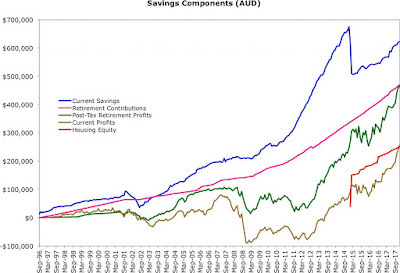 Half of our retirement accounts are now made up of profits and half from contributions. 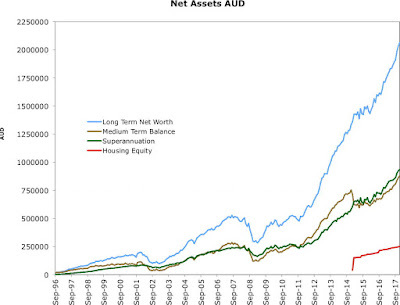 I have truncated the axis at -$15k - we dissaved $53k in January and $118k in February 2015 as we bought the house. 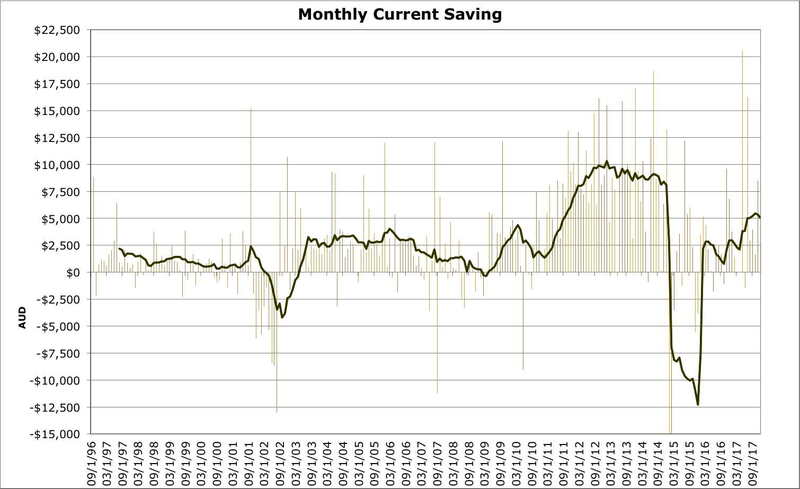 After the big transfer of savings to buy the house, savings recovered, but to a lower level than in recent years. 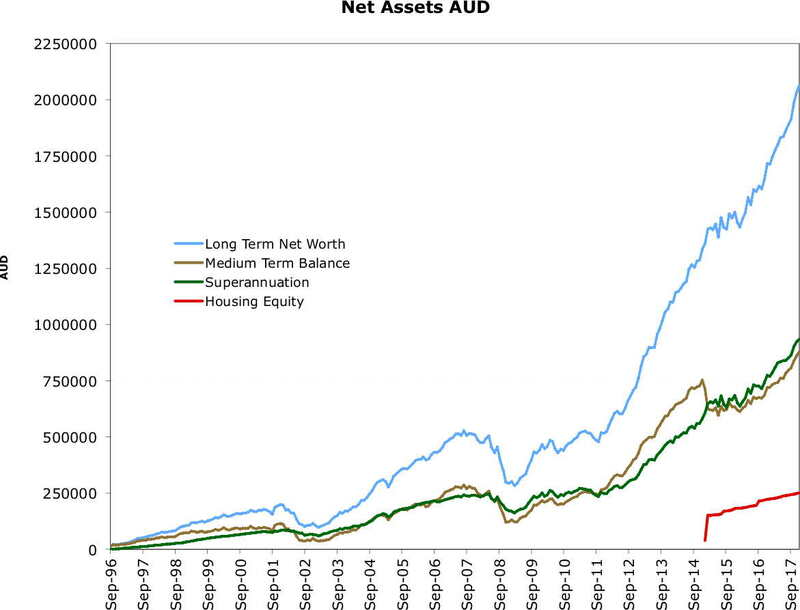 In the past year they have edged back up again to an average of $5k per month, though they are very volatile.